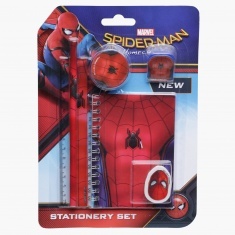 Get this lovely stationery set for your little champ and impress him with your classy choice. Sporting a Spider-Man print in bright hues, this set is sure to become the favourite of your kid. This set will add fun to the writing and craft time of your kid.